The Amapondo Children’s Project (ACP for short) is based in Port St Johns, a small and fascinating cosmopolitan coastal town, which is located in the heart of the Wild Coast, Eastern Cape, South Africa. The Wild Coast is a beautiful strip of coastline that stretches from the border of Kwa-Zulu Natal (ending at the Mtamvuna River) to near East London (ending at the Great Kei River). This is the traditional homeland of the Xhosa people and offers rich history, incredible scenery and natural beauty. 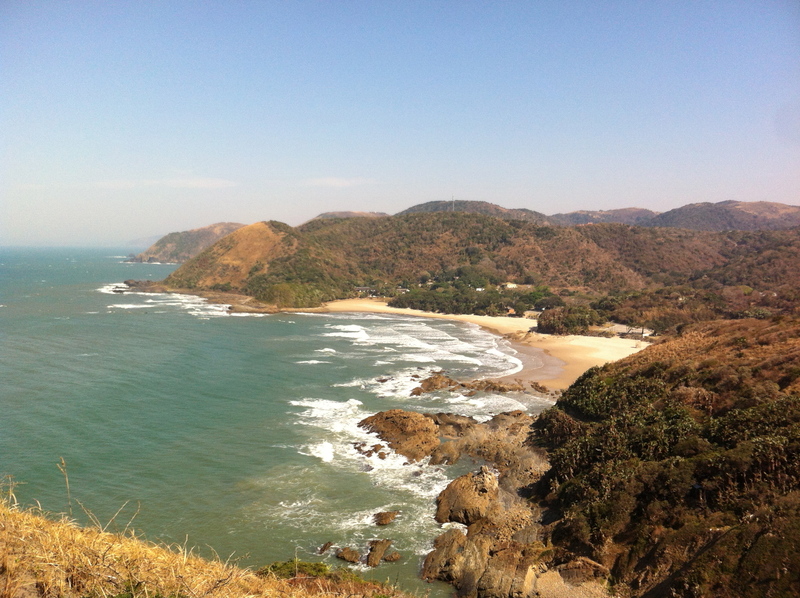 Few people will visit Port St Johns without falling in love with its unique character and natural spleadour. Known as the Jewel of the Wild Coast, Port St Johns lays alongside the mighty Umzimvubu River, which flows inbetween Mount Thesiger and Mount Sullivan, two majestic mountains that are also known as the Gates of Port St Johns. Since its founding in 2001, the Amapondo Children’s Project has evolved into a reliable and sustainable project. In recognising the grass-roots needs of the local children, as well as their families and the community at large, the ACP identifies opportunities and facilitates positive change. Together we aim to build on the well-being of the children of this area, the future leaders of our country. Fundraising - we raise funds to support and develop the following existing ACP initiatives: Mthumbane Pre-Primary School, Port St Johns Junior Secondary School, The Khulani Sewing Project, and Amapondo Gift Shop and Designers. Volunteer Program - we recruit, train and develop national and international volunteers to help manage the ACP, support and develop community initiatives, and bring skills and expertise into the local community helping local people to develop their own businesses. Project Management - we support and continually develop all ACP initiatives, drawing on local community support. Educational Assistance - we offer teaching assistance, curriculum development and school support, and we offer after-school support to children in need. Collaboration - we partner with the Rotary Club of Port St Johns amongst other NGO’s and together we run community based activities to unite, empower and strengthen our local community. At the heart of the ACP is our Volunteer Program where individuals as well as groups from all over the world come to assist us with various community projects, providing the necessary skills and offering on-going support for the currently under-resourced and under-funded, mostly rural educational system. Over the years the Amapondo Children’s Project has been involved in many community led initiatives and today our primary focus is supporting the Mthumbane Pre-Primary School and the Port St Johns Junior Secondary School. Volunteers are encouraged to get involved with multiple projects and are welcome to design their own programmes too. Past volunteer initiatives have included a surfing school, an online shop for selling local hand-made crafts, a music school, a drumming workshop, the construction of a creative workshop and many more. The Volunteer Programme is also a channel that attracts funding for the various Projects we are involved in. Fundraising is a huge aspect for all of the ACP projects: we encourage our volunteers to get creatively involved with fundraising initiatives, even before they start volunteering by setting up an initiative at home. Examples from previous volunteers include an international photo exhibition fundraiser, selling mistletoe, a raffle, car washing services and many more. All this funding goes directly towards those areas where it can make the most wonderful difference. The Amapondo Children’s Project operates from the Amapondo Backpackers Lodge: the previous owners of the Lodge originally founded the organisation. When they sold their business, the new owners took over where they had left and continued to support this worthy cause.